One of the number one questions people ask us is, “What’s the best multivitamin for me?” Over the years we have learned that the best multivitamin probably isn’t available at your local grocery store or discount supermarket. There are several key points you should consider when shopping for “the best” multivitamin. • Absorption/Availability – Your multivitamin should be readily absorbed, usually in liquid or capsule form, and should contain the most bio-available form of vitamins and minerals. For example, natural vitamin E (d-alpha) is better absorbed and metabolized than synthetic vitamin E (dl-alpha). If you look at the vitamins and nutrients in one of our most recommended multivitamins Annie's MultiNutrient without Iron you will notice that all of them are in their most active form ready for your body to utilize. Supplementation should take place throughout the day to allow your body time to efficiently absorb everything you are giving it. • Reliable – You want a company to put in the multivitamin what it claims it puts in. 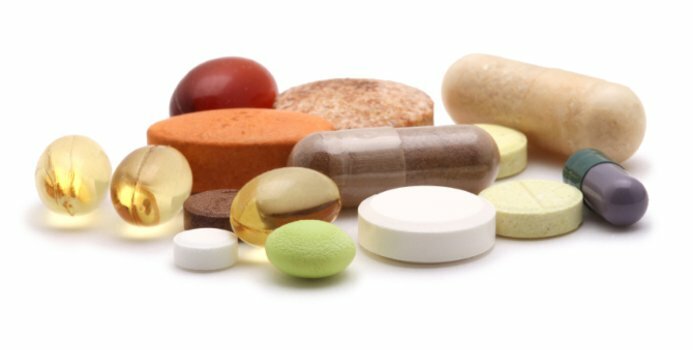 In 2010 the FDA made manufacturers evaluate the identity, purity, strength, and composition of their dietary supplements. Unfortunately, in 2015 the FDA found that some supplements sold at big retailers did not contain what they claimed to. Pharmaceutical grade supplements comply and exceed the standards. With the rising cost of healthcare, taking a quality and effective daily multivitamin may be the less expensive route to reducing the risk of disease and maintaining good health for you and your family. The number of years you are alive are not nearly as important as the number of years you are healthy. You can find our line of pharmaceutical grade supplements in stores or online at www.anniesrx.com . Call or stop by to speak to one of our pharmacists today!